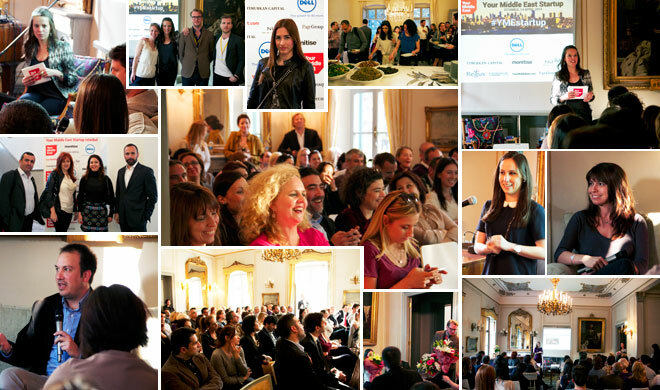 The Your Middle East Startup roadshow kicked off in style in the grand rooms of the Swedish Palace in Istanbul on April 14. More than 120 guests came to hear a distinguished group of Turkish and international entrepreneurs and investors. “Being crazy and naïve and having the ability to be visionary and look at the horizon is one of the things successful entrepreneurs and startups have in common,” said serial entrepreneur and moderator Aurore Belfrage, COO of Your Middle East, in her introduction. Speaking about the importance of pivoting, “which is just a fancy word for realising your idea isn’t good enough and needs a new twist,” she emphasized the stamina and courage to change that is needed to be a successful entrepreneur. “We founded Pozitron in 2000 and the rest was pivoting all the time…we changed our business plan a lot…I had to switch my partners a couple of times,” explained Fatih IÅbecer, founder and CEO of Pozitron which was recently bought by Monitise for USD 100 million. Rina Onur, co-founder of Peak Games, the fastest growing gaming platform in the MENA region with a whooping 30 million active users, spoke about the difficulty of getting your family to understand what you are trying to do when you embark on a startup. “My parents stopped talking to me for three or four months when I said that I am going to quit my job and be involved in a gaming company,” she said. The event also touched on the importance of entrepreneurship on a greater societal level, not least in volatile post-conflict environments. “Why is entrepreneurship so important? Because it creates stability in a region,” said Dr Saskia Harkema, founder and Director of the non-profit Faces of Change, which stimulate entrepreneurship among refugees. Styled as a “no nonsense event focusing on action rather than strategy,” the feedback from the audience was very positive with a lot of appreciation for the interactive, intimate and positive atmosphere. “Everything is possible as long as you adapt and keep trying” was the motto of the day. “We need to think like kids. We have to be fearless and brave and use everything that we have – and…make sure to calculate (what you do) well, then you will succeed,” said Google’s Milena DjuriÄiÄ. The attendees included some of the top players in the Venture Capital industry as well as a large number of startups, including Moofio, a new social media community for pets, DeQoroom and Evmanya, both online interior design stores, and Bardabas, Turkey’s largest subscription model. Two female entrepreneurs also got the opportunity to pitch their businesses and receive feedback from an investor panel that included Numan Numan, Managing Director of the Turkish VC firm 212. “Focus on the pain you are addressing, what kind of problem you are solving…then show the potential market,” Numan commented on the pitch by seasoned entrepreneur Louise Westerlind, who has launched a Crowdfunding platform called FonGoGo. “It is always good to talk about a proven business model (in a pitch),” added Naz Ozertugrul, Head of Turkey and MENA at the international VC Atomico, whose portfolio include Angry Birds/Rovio, FAB.com and Wrapp. DoctorBurada.com, represented by co-founder Pelin AnlÄ± BedirhanoÄlu, pitched a cloned and regionally adapted version of US based ZocDoc – a doctor’s booking service. The beta version generated a great deal of interest and questions from the audience. “That (the model) has been successful elsewhere tells me that it has a good chance here. I think the devil is in the details in terms of your preparation…this is an incredible endeavour in terms of the logistics,” said James Halliday, Head of Strategic Advancement at Koc Univerity. “The whole event was very constructive and interactive…it was great to have the opportunity to talk about Doktorburada.com and my story as an entrepreneur in front of such seasoned and successful entrepreneurs and investors,” said BedirhanoÄlu after her presentation. The Istanbul event was the first in a series of informal and inspirational evening gatherings focusing on tech startups and women entrepreneurs in the Middle East and North Africa (MENA). Next up is Dubai in June, then Tunis, Erbil, Riyadh, Amman and Tehran. “But given the atmosphere here in Istanbul tonight we will surely be back soon,” said David Hedengren, Your Middle East’s Publisher & CEO. Your Middle East Startup Istanbul was made possible through the support of sponsors Dell, Timurkan Capital, Monitise, NU People, Regus, BAL Brand, Endeavor and the Page Group.